Deep, loud, and immersive, the compact Bose® SoundLink® Revolve Bluetooth speaker provides 360° sound. Place it in the center of the room to give everyone the same experience. Or set it near a wall so sound radiates and reflects. This wireless speaker is durable, water-resistant, and easy to grab and go—with a rechargeable battery that plays up to 12 hours. The 360 sound on this is amazing! Best speaker ever The music from my iPod sounds great, I can hear every note! If you’re really into music, this is the best! This speaker is worth spending $200. Crystal clear sound with good bass. Definitely way ahead from other speakers in this category. How do you link two together? What is the lifespan of the battery? Is the battery replaceable if and when it fails? Mic quality for phone calls? does it work with a MacBook pro? Yes, it works with a Macbook Pro, Imac and iPod. 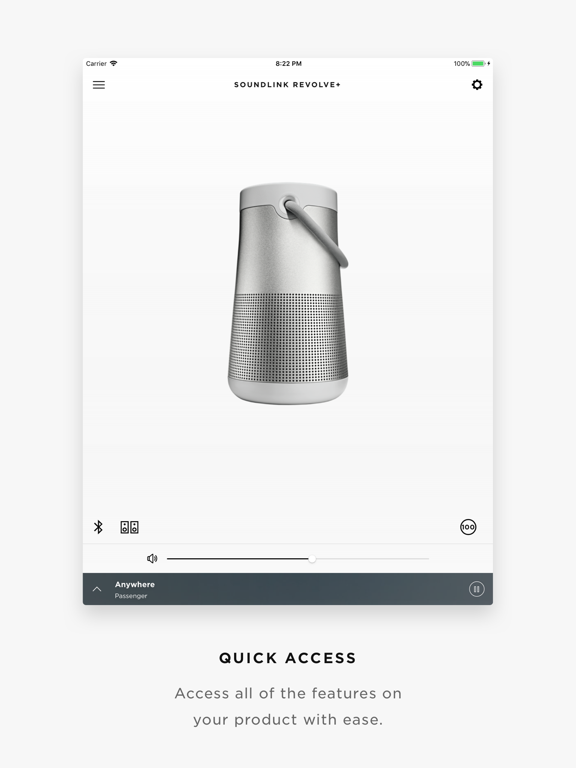 You will need to pair the Bose Soundlink with your Yes, it works with a Macbook Pro, Imac and iPod. 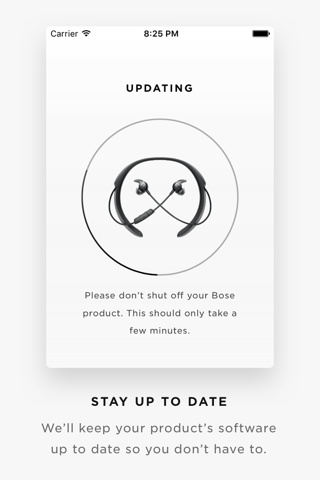 You will need to pair the Bose Soundlink with your Macbook Pro (see Bose instructions). is that a 220v or 110v charging? 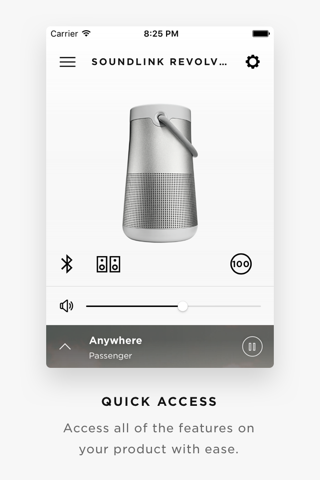 Bose Connect unlocks the full potential of your Bose Bluetooth® Product. 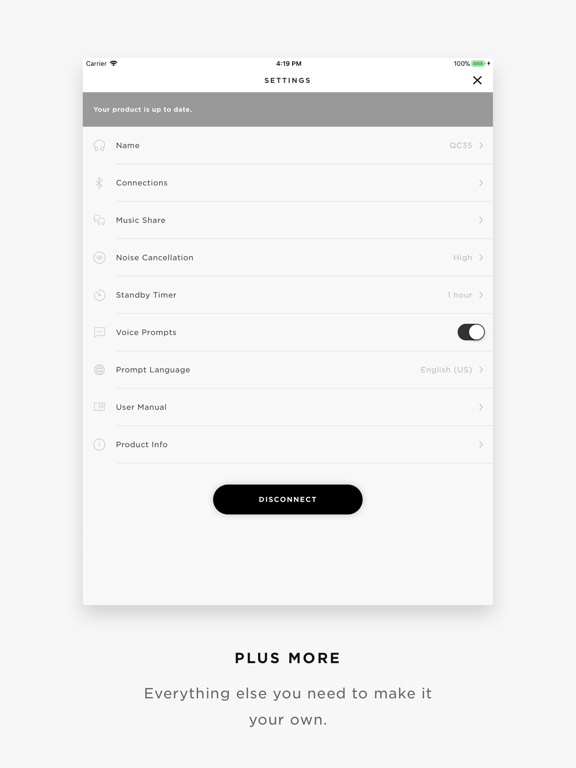 Get quick access to the key features on your products, like the auto-off timer, volume control, and battery readings. 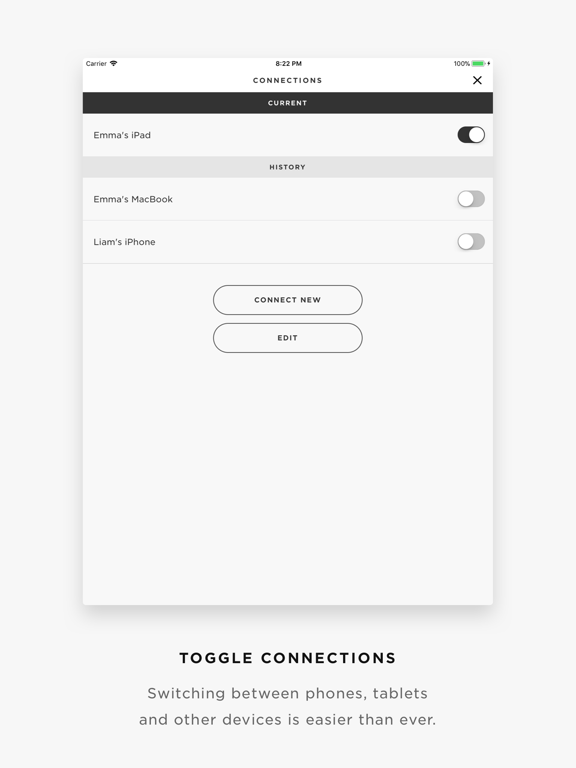 And it’s the easiest way to manage multiple Bluetooth connections. But that’s just the beginning. 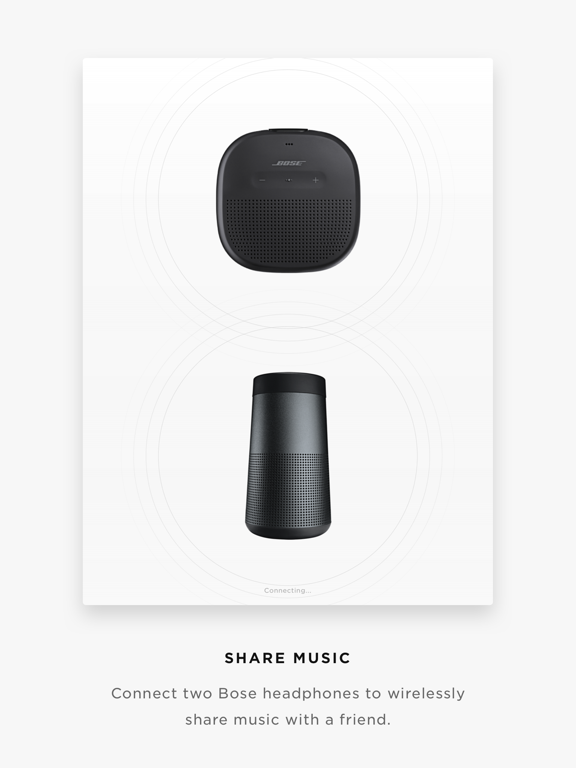 MUSIC SHARE lets you listen together. Now two pairs of Bose® wireless headphones can share the experience - listen together, at the same time, while one of you DJ’s. 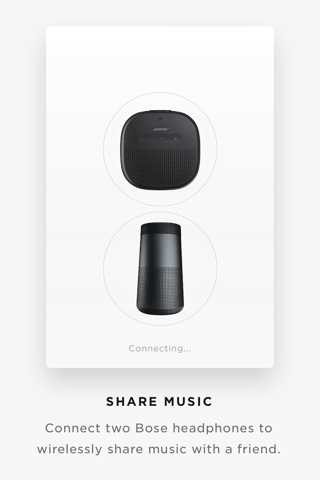 New PARTY MODE lets you sync two SoundLink® speakers for double the audio…ideal for listening in two different places, and new STEREO MODE immerses you in music by separating the sound into Left and Right channels across two paired speakers for that amazing stereo experience. 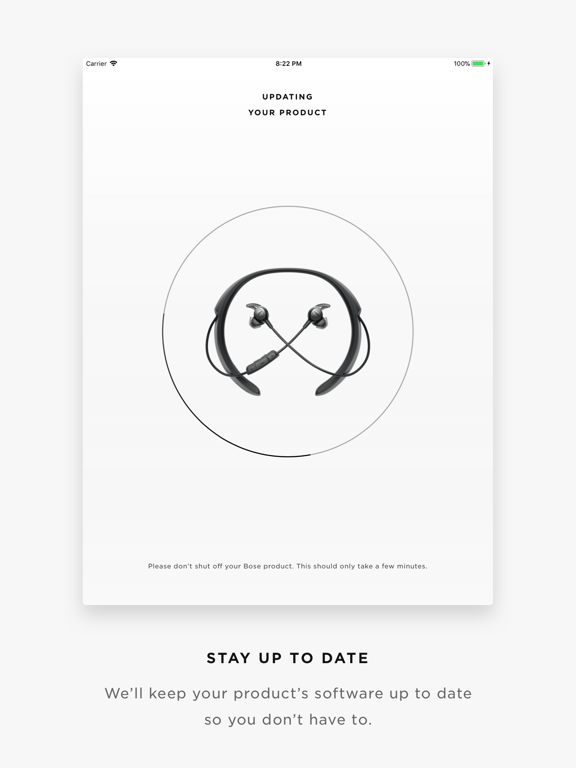 CONTROLLABLE NOISE CANCELLATION on our QC®30 headphones lets you decide how much of the world to let in by adjusting the level of noise cancellation right in the app. And the built-in HEART RATE MONITOR for our SoundSport® Pulse headphones displays your heart rate clearly in the app. From viewing product details to personalizing settings, get the most out of your Bose wireless products. It even downloads the latest software in the background and only installs it when you’re ready. 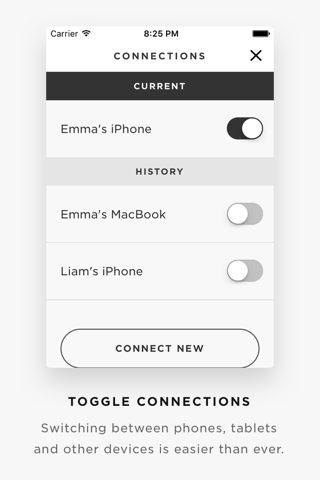 See how our simple app can make all the difference. 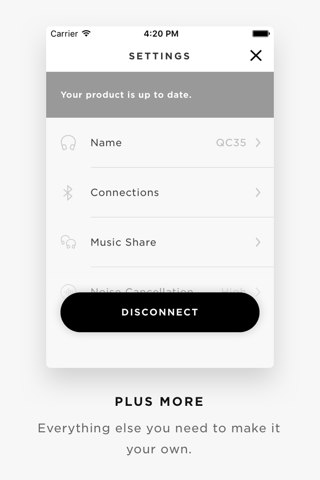 Some features may not be available for all products.